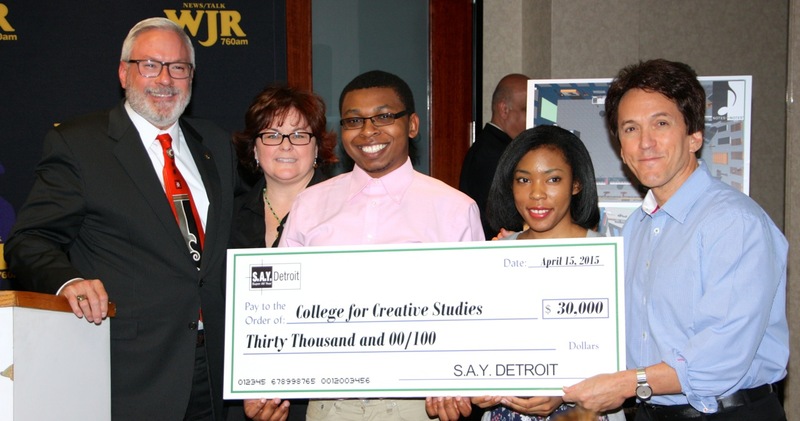 In 2017, SAY Detroit launched the Tomorrow Fund, an endowment fund created to be a catalyst for a new stage of growth at the nonprofit. 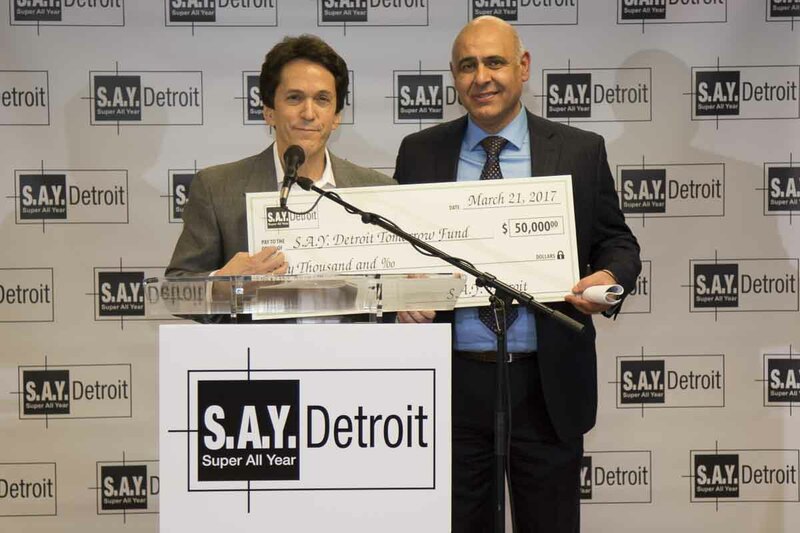 The SAY Detroit Tomorrow Fund offers businesses, companies, foundations and private individuals the ability to become a leader and permanent fixture within SAY Detroit through naming rights and other founding benefactor opportunities (such as named funds) that can serve as a permanent tribute to the donor, with a $100,000 gift or more. Opened in 2015 and serving all Detroiters in the northeast corner of the city, the state-of-the-art SAY Detroit Play Center at Lipke Park offers a unique concept in learning: Members must strive to earn a 3.0 GPA and commit to studying and reading for at least an hour each visit before enjoying the center’s athletic and enrichment opportunities, including music, dance, art and robotics programming. Endowment gift would entitle the donor naming rights for a physical space, or for programming. Opportunities include SAY Play’s state-of-the-art 7,000-square foot digital learning center, recording studio, robotics lab, cafeteria, and more. The nation’s first health clinic devoted to homeless children and their mothers, the SAY Detroit Family Health Clinic provides medical care, including examinations and health and wellness programs. All services are provided for free. The clinic received more than 6,000 patient visits in 2016. Endowment gift would entitle the donor naming rights for physical spaces or programming. Opportunities include examination rooms, waiting room, children’s play room, pharmacy, etc. SAY Detroit and its operating partner, the Detroit Rescue Mission Ministries, operates and supports other organizations in its umbrella of nonprofits including Working Homes / Working Families and the Bright Beginnings Child Development Center. All contributions to the Fund, preserving SAY Detroit’s legacy of commitment to helping Detroit’s neediest, are welcome, regardless of gift amount and duration. For endowment gifts, contact Marc “Rosey’’ Rosenthal, SAY Detroit Tomorrow Fund director, at (313) 225-1200 or at roseymarc18@gmail.com.